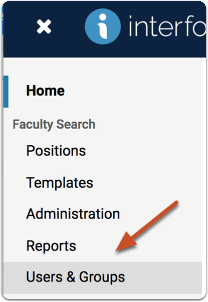 When adding users to Interfolio Faculty Search, Administrators and Committee Managers have the option to send a personalized email message welcoming them to Interfolio Faculty Search and inviting them to activate their new account, or login if they already have an account with Interfolio. 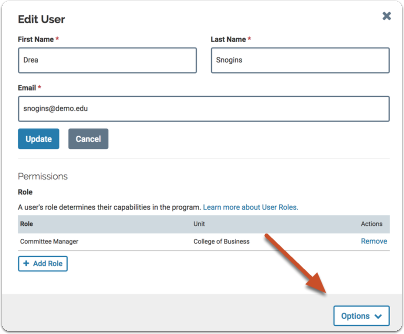 If this email is lost, or if for any other reason an Administrator needs to send it again, the invitation email can be re-sent from the Edit User window that is accessed from the Users & Units page. 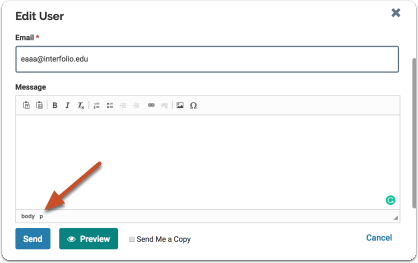 This article explains how to resend the invitation email if necessary. You will have an opportunity to enter a new message with the invitation if necessary.